shortly after GS Derek was born his great grandma and great aunt got to go see him. We had been praying that he would be a match for his sister to have a bone marrow transplant so he was a baby for which we prayed much! Beautiful pictures. I love the way Breanna is looking at baby! 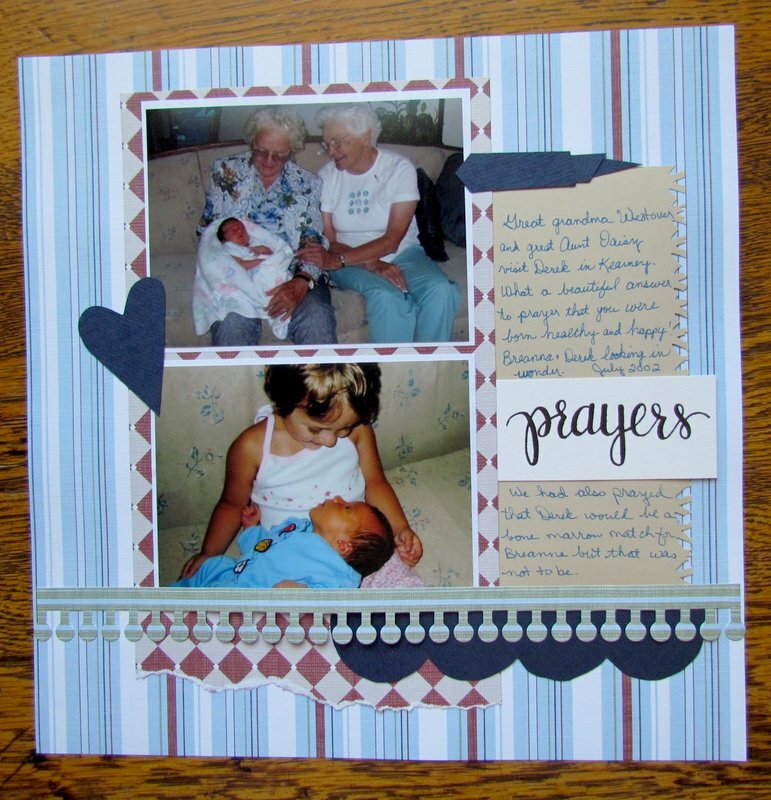 Very nice layout, happy for a healthy baby, prayers for a match to help your beautiful daughter.